UAE Technician will help your big or small business with value for money card processing solutions. Online business is booming every day with a variety of products. Today, businesses are catering to population worldwide and are in the process of making money. For an online business to make a mark, the triggering factor is the gateway system. It is found out that the online business scene in Dubai is facing a tough time because there are only a few e-payment gateways available in the country. This is because banks in Dubai are a bit conservative in dealing with online payment gateway integration. If you are thinking of opening an online business, then you have landed on the right page. If you are a newbie in the world of the online marketing scenario, then you must know that to conduct business online, there are a lot of requirements and guidelines that you need to follow. First, you need a good website and to make it more robust, you need to add a secure payment gateway integration. Payment gateway integration is a software through which the online seller integrates his system with a transaction process. The payment is done online with the use of credit cards and debit cards. As e-commerce businesses are gradually growing, online merchants are eagerly willing to invest in this sector. As a matter of fact, online merchants are monitoring the growth so that they can channelize their business network. Payment gateway integration is a dedicated portal that performs the function of a link between the websites and the banks. This linkage is basically created to allow the processing of an online transaction. Before setting up a business, there are a lot of apprehensions in the mind of the merchant. One of the biggest tensions is how can you manage the payment system for the customers. However, the answer is quite simple. The only effort that you need to put is choosing a secure online payment option and then go ahead with setting up a virtual business. But, you need to be careful in making the choice because payment integration requires expertise so that your customers feel secure about their transactions with you. 1.Ease of integration:The first and foremost factor that you must consider is the easy functioning of the integration process. It must be simple, straightforward and less time-consuming. The gateways should ensure that the updates are easily handled without making any major changes. Another aspect is that they must take minimum space on the phones as heavy applications are not much preferred by users. A payment gateway must have the capacity to multitask. 2.User Interface:It is essential to ensure that the user interface by the gateway looks compatible with the overall brand image. It must facilitate easy payment options for the customers. In addition, it is must assure that the bank pages are mobile friendly. The payment processing must ignore an excessive number of steps. It tends to make the buyers impatient and they might lose interest in your website. 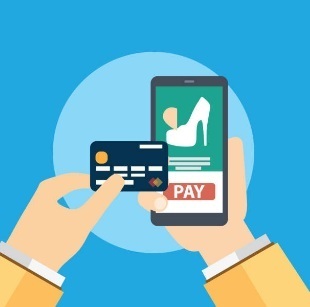 In order to offer a seamless payment experience, you need to minimize the steps. Additional consideration while choosing a payment gateway is customization. It consists of a brand logo, colors etc. 3.Payment Analytics:When we talk about online payments, there are several factors which lead to payment failure, drop-offs, refunds etc. Therefore, before selecting the gateway option, you must go through the analytics. This is one of the important aspects for consideration because it contains important information like average page loading time, mobile network usage, transactions status etc. This analysis will throw light on the real issues and allow the application to make sure the problems get sorted. 4. Payment receipts: After the payment is made by the customer, it is necessary to provide a payment receipt. This is done by sending out an automatic email with the transaction details. Following this, it leads to building a good relationship with the customers. Since the gateways consist of all the necessary information regarding your transaction status, it is recommended to send an email or a computer generated message. The only difference between different payment gateways is the kind of plugins that they offer. These attributes optimize the payment experience by offering smooth payment interface. For example, the procedure of card saving enables the merchant to keep the customer’s card details. This helps in saving the time of the customer and making purchases much more effective. Alternatively, there is another example of a good feature which is the OTP. Mandating OTP is essential as it offers nifty solutions for online transactions. The gateway automatically reads the OTP from the customer’s phone making the processing quick and smooth. 6. Settlement Period:Quick payment settlement cycles ensure the efficient functioning of the business. If we talk about typical settlements, they last for about days or weeks depending on the kind of business you have. The settlement period is a necessary factor before choosing an integration option as it deals with the revenue requirements of your business. 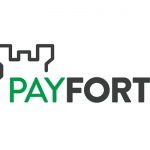 7.On-Form payments:Another gateway will collect the payment right from your website using a simple form. At times, some other sites redirect the customers to other pages to make the payment. But, this seems to be a turn off for the users. Opt for a pre-built form on the website which is integrated with the gateway. 8.Recurring Billing: The capability to set up and arrange the subscription payment on the monthly basis is important. This is done so that the merchant can operate without dealing with action manually. This is called the recurring bill. If you are thinking of starting a business for sales purposes, then you can go through the list of payment gateway in UAE. Match your requirements and grow within your online platform. In addition, if you are willing to cater international markets, we have a compiled a comprehensive list for that as well. It holds 3% transaction cost plus AED 2 each following a nominal set up cost for medium-sized enterprises. However, they have corporate accounts too, costing AED 6500. It is offering additional features saving you from fraudulent protection but with additional cost. 2.Innovative Payments: It is functioning in Dubai since 2009 and facilitates online payment solutions to the merchants. It works in areas where e-commerce is still not very rampant and who are struggling with getting hold of a trustworthy, and effective payment provider. The setup fee ranges from AED 1500-5000 with an add-on monthly fees of AED 150-500. If you want a fast, trustworthy and safe setup, the Cybersource is your ultimate choice. 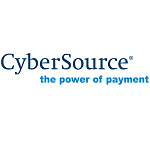 The transaction rate is 2.39% for Cybersource, depending upon your business. It is an interesting online transaction platform which is bridging the gap between people and online business. Purchasing is made easy with PayPal. It is recommended by a lot of business houses for online transactions. PayPal receives payments by keeping 2.4% to 3.4 %, however, the withdrawal rates may vary with respect to different banks. 2.WePay: It has devised a great strategy to beat the competitors by offering all sorts of protection from any kind of fraudulent activities. Payments are required to be secure so that the merchant can gain the customer’s trust. When users are giving out their card details, they will definitely expect a safe space. The main aim is to offer the consumers the best possible payment gateway integration services. Moreover, they do not have any hidden costs or monthly fees. Their processing is fast and they have reasonable rates that you just cannot ignore. 4.Stripe:Despite having impressive features, their network is spread in only 18 countries. There is nothing to worry about as they are planning for an expansion across the globe. Stripe usually charges quite a lot for payment gateway integration with transactional rates at 2.9%. The charges are flat irrespective of any location. It has an inbuilt facility of payment rather than any redirecting pages. 5.Google Wallet:The name Google automatically instills trust among the users. They accept Mastercard, Visa, and American Express. There is no setup fee and the transactions rate ranges from 1.9% to 2.9% each. However, there is a major drawback; the payment can be done only by people of the United States of America via Gmail. 6. Skrill:It is formerly known as MoneyBookers; it stands to be one of the top payment gateways for international transactions. It charges a monthly fee of €19.95 from the merchants with a currency conversion rate from 2.99% to 4.99%. Additionally, Skrill charges 1% for the payments made by the customers as well as from suppliers and manufacturers. 7. Dwolla: In case you are concerned about personal payments for only one country, this is the best option for you. Like most of the gateways, they also have an android application along with iOS and Windows devices. This is a faster platform than others because it takes less amount of days to process your request. The fee charges are extremely reasonable at $0.25 and there are no charges for making transactions less than $10. This is the cheapest gateway by far giving the customers the same benefits within a range you just cannot overlook. 8.Check out:It is accepted in 200 plus countries and the service charges range from 3.9% per transaction but have a fixed fee of $0.40. Moreover, it has a bonus as they do transfer to UAE banks also. They are also accepting 20 types of currencies that include AED and USD. But, you must know that an additional charge of $10.99 monthly fee is definitely coming your way. 9.Amazon Payment:It offers the same platform for customers to buy and pay through their Amazon account. It helps them to save their details and process the order without asking for details during every single transaction. Checkout by Amazon- This is for the e-commerce merchants who are selling their products and services. However, it has one disadvantage of redirecting the users to another site for payment processing. Amazon Simple Pay- This is a highly recommended way of payment for businesses that deal with selling digital products, such as e-books, plugins, themes on WordPress, templates etc. As a matter of fact, they are offering their esteemed services in 28 countries. The setup charge is nil along with transaction rates ranging from 1.9% + $0.3 to 5% + $0.5 each. 10.WorldPay: They are super economical because they have flexible transfer rates. These rates depend upon the size of the business too. WorldPay offers a strong and strict screening, inspecting unauthorized transactions. If anyone wants to get hold of users’ transaction details, it can detect something wrong is going on. It is widely supported in 36 countries. But, there is a disadvantage. It is the huge amount that they charge for setting up. This poses to be a discouraging factor for new users before considering this payment gateway integration. Another turn down would be the long waiting periods, whereby the tasks are not accomplished before two-six weeks. Their initial setup charges are £75, along with transaction fees. The transaction fees start from 1.9% + 10 pence, with a monthly charge of £15. 11. Authorize.net:This is a payment gateway integration option for international sellers which is managing their work since 1996. They are entitled to process billions of transaction by far, on behalf of the merchants and customers. This is totally owned by the subsidiary of Visa and they are open to accepting Visa cards, MasterCard and American Express. In addition, it also accepts Discover, Diners club and the JCB. With a setup charge of $99.00, they have an additional gateway charge, that is $20 dollar for a month and $25 as a Batch Fee. Moreover, Authorize.net is operating in over 190 plus countries having a fee of $10.00 per transaction. There are two types of Payment Gateways- one is Hosted and the other one is Shared payment gateway integration. 1. 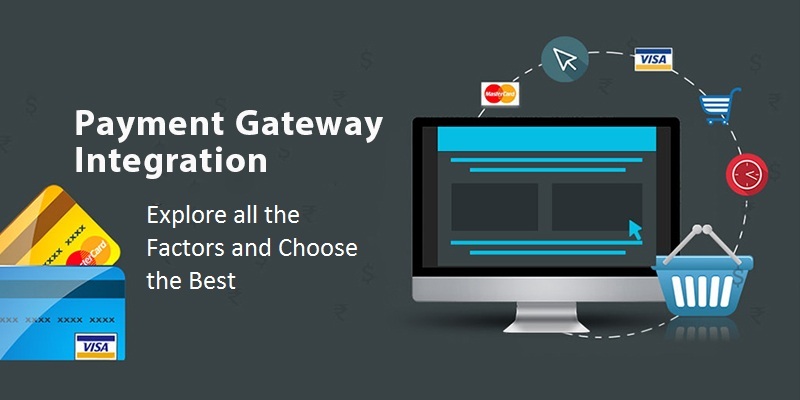 Hosted Payment Gateway Platform: Redirecting procedures that drive you away from the original website to another one is a Hosted Payment Gateway. When you click on the payment option, you are offered a link to go to the page for payment proceedings. The customers are expected to leave the original site until the payment is complete. After finishing, the customers will be brought back where they left. Interestingly, this gateway platform does not ask for any details of your website. But, they divert the customer to their own gateway window. For example, PayPal, WorldPay, and Nochex. 2.Shared Payment Gateway Platform: There are some sites who have their own payment window. When you opt to pay for the product or service, it does not redirect you to another page for the process. It offers the user a post form to be filled by them. Upon completion of the form fill-up, the user is expected to give in all the details and submit. After that, the payment is processed on the same page. After a successful payment processing, the user is notified with an automated mail which has the payment receipts. If you wish to work with payment gateway integration in Dubai, then you can reach UAE Technician. They have the necessary expertise to solve and answer all your queries. Connect with them via calling:042053349 . Apart from that, you can also reach us via live chat and email. Thinking on How Can I Solve My Macbook Startup Issues?